You all know already what my position is. I like living in a world were producers of something as unessential as beer can charge any price they see fit for the things they produce; it's up to me, the consumer, to decide whether I will buy it or not, because at the end of the day, it's not about price, it's about value, and value is every bit as subjective as taste. If someone feels like paying through the nose for a limited-edition or hard-to-get beer, even if they can buy another of comparable quality, perhaps available all year round, sold for a fraction of the price, it's their choice as consumers and I've got nothing against it. It does bother me a bit, however, to see the gimmicks some producers use to inflate prices without giving proportional value in return: fancy packaging for otherwise bog standard stuff, collaborations that actually don't bring anything new to the table, fake historical recreations, the use of exotic and very expensive ingredients that, when factored into the volume of beer produced with it you end up with a few micrograms per pint, and pre-manufactured scarcity – you know what I'm talking about, those limited-edition beers, one-offs and other hard to come by stuff, which to me it's the worse of all. Save for a few notable exceptions, there's nothing in this day an age, other marketing and opportunism, that is, that can really justify that scarcity and the inflated prices it often commands. But once again, all I can do is shrug, some people may find value in that, it's their money. I can ignore those beers or, if they do catch my attention, and are new to me, I simply apply this principle to get a fairly good idea before hand whether purchasing them will be money well spent or not. What is fascinating to see, though, is how many apparently knowledgeable people not only fall for those tricks, but also celebrate them! (we've all been there at one point or another, I believe). The internet have convinced us that those beers are great, that they are some of the best in the world, creating in some people an almost herd-like desire to have them, to chase them, almost as if their reputation as beer savants depending on their being able to pen a tasting note of them. Some of the comments, or rather complaints, after this year's edition of the Barcelona Beer Festival give a good example of this. Before the event the organisers posted the list of the beers they had lined up, some of which fell in the seen-as-great-rarely-ever-seen (at least in Spain) category. This prompted some people to draw detailed intoxication plans and then head to the festival. When some of those plans could not be fulfilled (apparently some of the beers weren't even tapped) the people that made them were a bit upset, some going as far as to say that it had been the promise of those beers their main reason to go the festival. Yes, that's right. These people didn't travel to another city, spent money on accommodation, food and whatnot mainly because they wanted to spend a good day or two, drinking good beer in good company. No, it was because they were chasing a handful of beers they needed really badly to taste. What would have happened if one, or more of those beers had shown up by the end of the day, when they likely were physically and sensory tired, and perhaps a bit pissed as well? Of course, they would have run to the taps to buy a glass. Would they have been able to appreciate them in all their greatness? I doubt it. For them, being able to tell everyone and their neighbours that they have achieved that goal in their drinking careers would have been enough, I believe. This reminds of something that happened quite a few years ago in Argentina at the launch of one of the latter Harry Potter books, can't remember which. A lot of hype had been generated by the publishers and the media, and a couple of specialised bookshops in Buenos Aires took advantage of it, very clever of them, announcing they would open their doors at midnight of the day the book was to be officially launched around the world – the Spanish version wouldn't be ready until some time later, only the original English version would be sold. As expected, not few people queued for hours outside the shop, waiting for that significant moment in literary history. One of the first people to get a copy of the book was interviewed by a newspaper. He said, full of joy, I'm sure, that he actually didn't know English, but still wanted to have that book before anyone else. The author of the report mentioned then the book, from the container of a story, had turned into a object in itself. These beers I'm talking about have also become objects to some people. For them, drinking something flavourful, interesting, intoxicating isn't the real pleasure. The real pleasure is putting photos of those beers, together with a tasting note, in a virtual trophy room like Twitter, Untappd, Facebook, a rating site or a blog. Naturally, the people on the other side of the counter know about that and often manipulate it to their advantage, something that shouldn't surprise anyone, really. Now, I'm not suggesting that those beers, or at least some of them, aren't great in their own right, they are, or can be legitimately considered as such. The thing is that they are expected to be great. So when they are great, all they've done was to meet an expectation, and if meeting an expectation is the least any product or service you pay for should do, doesn't it make those beers adequate? Forget it, I'm getting too semantic here. But there's little point in arguing which of those beers are great, or if they are worthy of all the hype surrounding them, or if they are better ones that are easier, and cheaper, to get. After all, greatness, like value, is in the palate of the beholder. Either way, I'm not all that interested in them. As far as I'm concerned, there's not beer special enough to make me dig a deep hole in my wallet, to make me go to much out of my way or to become an end in itself. And it really doesn't matter how great they happen to be, because they will lack the sort of greatness I have come to prefer, the greatness of the ordinary. There's greatness in a well made, good, tasty beer that you can drink just because you fancy a well made, good, tasty beer. I'm not speaking about any specific kind, style or category of beer. They can be strong or or sessionable, intense or mild flavoured, pale or dark, hoppy or malty, classic or modern, local or imported, why not? Whatever. I'm speaking about beers you often have in a cupboard, cellar or fridge and that can be popped open without that needing, or being, a special occasion that requires the right state of mind or health; beers that won't get offended if you pour it in any clean glass you have at hand and that will not expect, let alone demand, too much of your attention; beers that you can drink whenever you feel like drinking something with this or that characteristic while doing any of the normal things you do in your life, and that have nothing to do with beer. And if you don't happen one of them in your cupboard, cellar or fridge, you know that getting hold of it should not imply a substantial investment in effort, time or money. Those beers are great, and their greatness, to me, is greater than the greatness of those other great beers. They are not objects, but beer, a mildly (or, in some cases, not so mildly) intoxicating beverage that doesn't demand a photo taken or a paean written. Some people will disagree, I'm sure. They will argue that those great, but hard-to-get beers deserve all the attention that we should give them, and yet some, that they deserve that right moment in order to be fully appreciated, which is in fact what makes them so special. It's pointless to argue about tastes, but let's try to see things in different way. If the pub or shop nearest to your home or work tomorrow started carrying those beers on regular basis, or if you moved next door to the brewery, or if they had a more 'normal' availability, and why not, price, how would your relationship with them change? Would you drink them, say, on Thursday evening while putting together a béchamel and listening to Antibalas Afrobeat Orchestra or Freak Power, like I did with Schlenkerla Urbock? 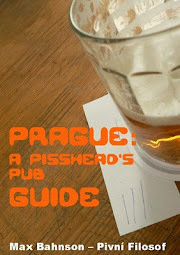 Or would you drop by that proverbial pub after work to knock down a glass or two on your way home? Think about it for a second before you read on. Don't cheat. Be honest with yourself. If your answer is yes, then perhaps what makes that beer so special isn't so much being extraordinarily good, but that it is extraordinarily rare, and that rareness is very likely fabricated. It's nothing but an artifice used by businesses to increase their profit margins and/or their cache among certain consumers. On the other hand, 'great', 'awesome', 'wonderful', 'special', 'masterpiece' and other similar adjectives and descriptors have been so overused that they've been stripped of much of their original meaning, and not only when it comes to beer. But why am I giving any fucks about this? I've got plenty of at the very least pretty good, solid beers within my reach to pick from, and I bet you have, too. And that should be more than enough for anyone. Is there any better, greater beer than a good one you can drink right now? Na Zdraví a Veselé Vánoce! 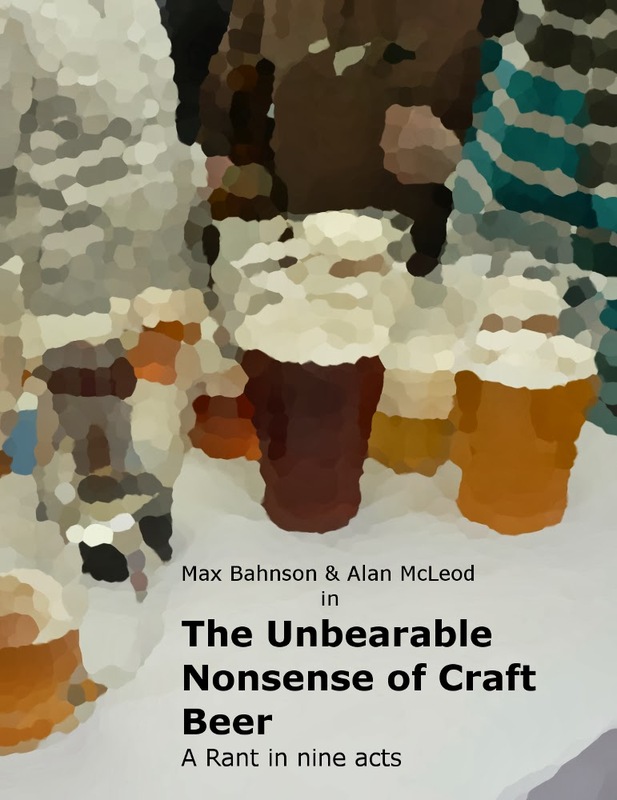 Alan argues that no beer is truly rare, and he's sort of right. Some beers just can't be ramped up for mass production (gueuzes) and as you point out, some are rare owing to distribution. (We get almost no Czech beers. I would kill for a fresh keg of svelty lezak like you guys have all the time.) And that rarity does add specialness. It's why seasonal beers--like seasonal cuisine--are special. None of that necessarily tracks to price. I can buy a Mariage Partait for less than it costs me to get some locally-brewed saison. On a different subject, this whole rare-for-the-sake-of-rare beer thing: is it a deal yet in Czech? There's something cultural about America's obsession with special and rare and it contrasts cultures where tradition is paramount. I like seasonal beers (I don't mention Urbock in the post by chance), they do make some sense, but at the same time, I understand that there's no technical reason for them not to be made all year round (generally speaking, that is), so much of what drives them is marketing, it might have its foundations on tradition, but it's marketing nonetheless. And yet, when the price isn't disproportionate, I'm eager to buy them and I also have to confess that looking forward to them is part of the fun. re: your question. There have been some cases, but few and far between and by the most part, they haven't received as much attention or hype, though I wouldn't be surprised if their grows. Tradition does play a part in this, I agree, though, in my opinion the mentality and structure of the market play a much bigger role. Here, even among the geekest of the geeks cheap isn't a synonym of bad, so an expensive beer would have to bring something really special to the table in order to justify its price. To this you have to add that, though their number is growing, distribution micros are still an exception and they have to very limited tap and shelf space not only among themselves, but also with the brewpubs that sell out some of their production. It's the same with some collectors of vintage wines, whiskies (especially), and it goes on. Some of the English tickers probably enjoy the chase more than the prey… It is the taste that counts for me though, not rarity or certainly price. I think perhaps many go through a stage where you must have everything. I don't think I ever felt like that but certainly not today. You are right. Personally, I don't understand very much the mentality of collectors who buy a bottle of something rare, but never drink it. To each their own, I guess. I did go through a must have everything stage. After many disappointments, though, I came to appreciate once again all those good things that I have at hand, which is the stuff I prefer drinking nowadays.